Touratech has launched a new flip-up adventure helmet – the Aventuro Mod – designed to offer the convenience of a flip-up as well as all the benefits of an adventure lid. Flip-up helmets are handy when you’re stopping for a chat, photo opportunity or fuel stop, but they have been known to lack the ideal ventilation and features needed for journeys that venture away from the road. It was with these issues in mind that the Aventuro Mod was imagined. 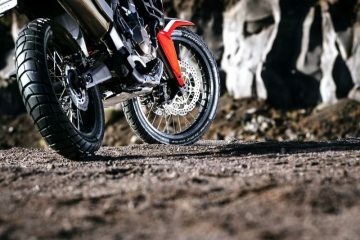 “With our new Aventuro Mod helmet, we can offer a touring and travel enduro helmet that easily bridges the gap between off-road and road use,” said Touratech CEO Herbert Schwarz. 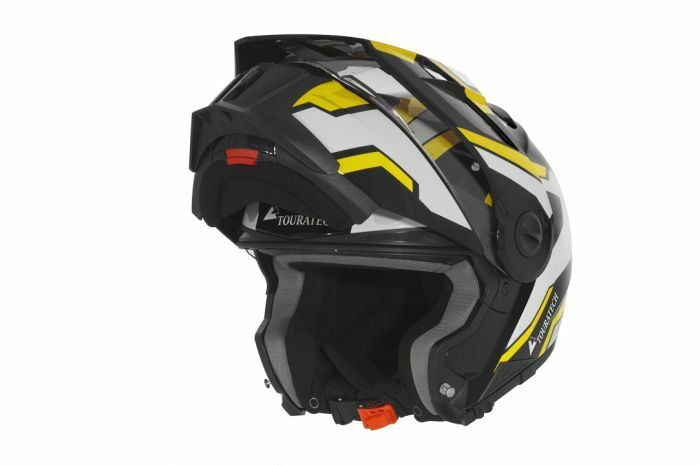 The helmet was the result of a close collaboration between Touratech and Schuberth with the former contributing their touring experience and multiple parts, and the latter putting their flip-up helmet expertise to use. 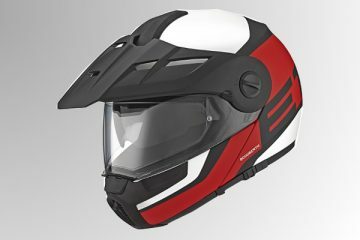 The Aventuro Mod utilises the same basic structure as Schuberth’s C3 Pro with the addition of numerous detail enhancements. 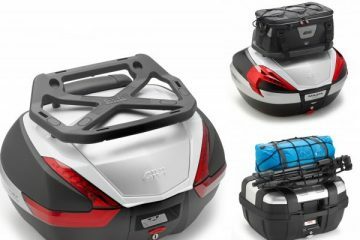 The shell is made of a special glass fibre laminate that combines high strength with low weight. 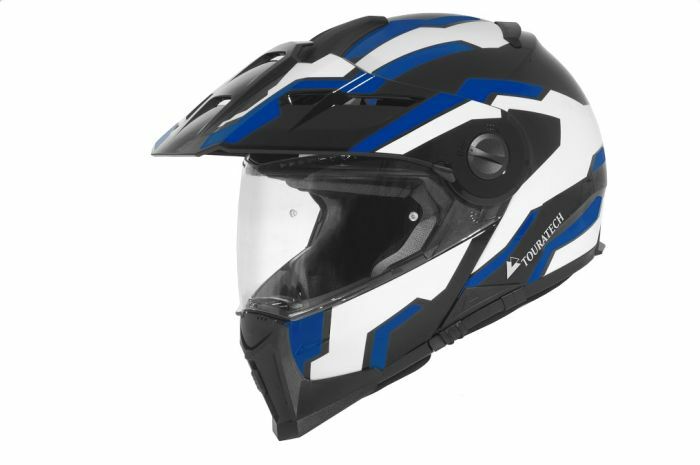 Features include an anti-fog, distortion-free visor, a continuously adjustable sun visor and a washable Coolmax liner. 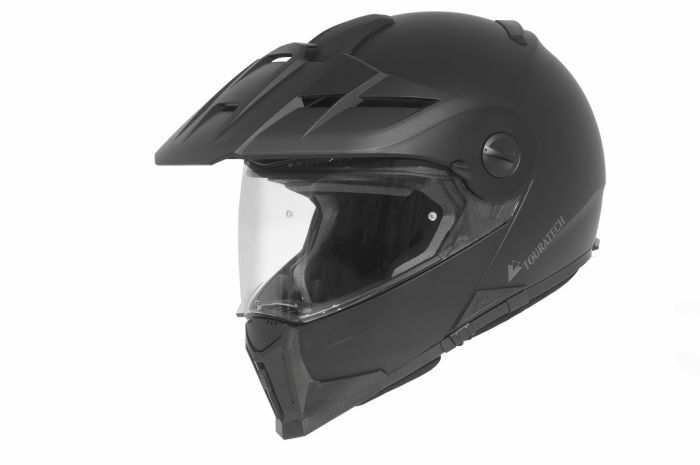 Usefully, the peak also has a memory function meaning when the chin is flipped up, the peak will remember it’s position and return to it once the helmet has been closed. 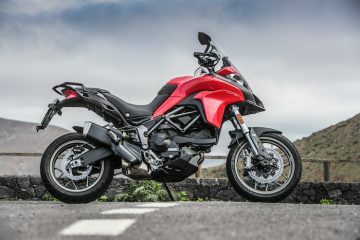 Large air inlets and ventilation have also been included in an aim to provide optimal cooling. The Aventuro Mod is available in seven different sizes (XS to 3XL) and colourways. 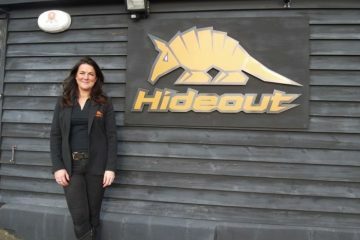 The helmet will cost £469.99 in black or £529.99 in the other colours and it will be available by mid-March.